Marketing Basics And Facts is a great article to know more about marketing basics and the terms used in marketing and their meaning. Read this article to know more about marketing basics and facts. Marketing determines how to launch, price, distribute, and promote your product/service offerings to the marketplace. Marketing then monitors the results and improves the offering over time. Marketing also decides if and when to end an offering. Companies should ask this question before using advertising: Would advertising create more satisfied clients than if our company spent the same money on making a better product, improving company service, or creating stronger brand experiences? How should you develop your advertising? You have to make decisions on the five Ms of advertising: mission, message, media, money, and measurement. 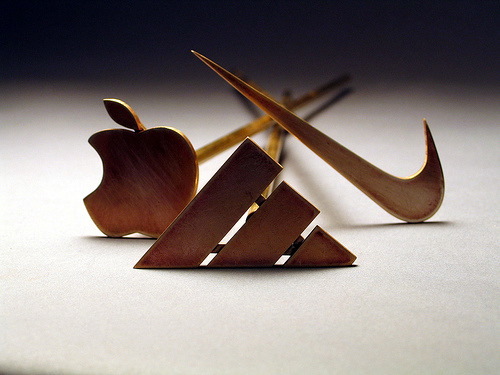 Great brands are the only route to sustained, above-average profitability. And great brands present emotional benefits, not just rational benefits. Brand extension is riskier: I buy Campbell’s soup but I might be less interested in Campbell’s popcorn. Brand stretch is even more risky: Would you buy a Coca-Cola car? (2) B2B marketers can learn a lot by adopting B2C thinking. While these two statements are true, B2B is having its own renaissance, and maybe B2C marketers have a lot to learn from B2B practices. B2B, in particular, has focused more on individual customers, and B2C is increasingly moving into one-to-one customer thinking. Another force that might reduce the role of the sales force is the growth of Web-based market exchanges. Change, not stability, is the only constant. When the rate of change inside the company is exceeded by the rate of change outside the company, the end is near. If companies don’t want to be left behind, they must anticipate change and lead change. The ability to change faster than your competitors amounts to a competitive advantage. A salesperson’s attire communicates, the catalog price communicates, and the company’s offices communicate; all create impressions on the receiving party. This explains the growing interest in integrated marketing communications (IMC). Companies need to orchestrate a consistent set of impressions from its personnel, facilities, and actions that deliver the company’s brand meaning and promise to its various audiences. Promotion cannot be effective unless it catches people’s attention. Promotion is that part of communication that consists of company messages designed to stimulate awareness of, interest in, and purchase of its various products and services. Companies use advertising, sales promotion, salespeople, and public relations to disseminate messages designed to attract attention and interest. Advantages are temporary. Increasingly, a company wins not with a single advantage but by layering one advantage on top of another over time. The Japanese have been masters at this, first coming in with low prices, then with better features, then with better quality, and then with faster performance. The Japanese have recognized that marketing is a race without a finishing line. Companies can build a competitive advantage from many sources, such as superiority in quality, speed, safety, service, design, and reliability, together with lower cost, lower price, and so on. The more success a company has, the more competition it will attract. Hopefully your company will attract only good competitors. Good competitors are a blessing. They are like good teachers who raise our sights and sharpen our skills. If you are going to be an effective competitor, you must also be an effective co-operator. In the short run, the most dangerous competitors are those that resemble your company the most. The customers can’t see the difference. Your company is a toss-up in their mind. So differentiate, differentiate, differentiate. Customers, not competitors, determine who wins the war. Peter Druckcr says that his greatest strength as a consultant is to be ignorant and ask a few basic questions. The major requirement for corporate branding is for the company to stand for something, whether it is quality, innovation, friendliness, or something else. A strong corporate brand needs good image work in terms of a theme, tag line, graphics, logo, identifying colors, and advertising dollars. Companies formerly won their marketing battles through superior efficiency or quality. Today they must win through superior creativity. One does not win through better sameness; one wins through uniqueness. It is sad that creativity probably peaks at age 5 and then children go to school only to lose it. The educational emphasis on left brain cognitive learning tends to undernurture the creative right brain. Greg Carpenter and Kent Nakamoto have challenged a core assumption of marketers that buyers initially know what they want. Instead they learn what they want. And companies play a strong role in teaching buyers what to want. One reason that early market entrants (such as Xerox or Palm) often gain sustained market leadership is because the attributes they initially build into their products define the wants that were otherwise ill-defined. A customer mind-set doesn’t just happen. It has to be planned, implemented, and rewarded. To be truly customer-oriented, the firm should be run by customer managers (or customer group managers), not brand managers. They will find out the set of company products and services that their customers would care about and then work with the product and brand managers to deliver them. Customer loyalty must be rewarded. Customer relationship marketing, in practice, involves the purchase of hardware and software that will enable a company to capture detailed information about individual customers that can be used for better target marketing. Using the information carefully, the company can improve customer acquisition, cross-selling, and up-selling. Companies should not invest in CRM until they reorganize to become customer-centric companies. Only then will they and their employees know how to use CRM properly. Regrettably, companies spend most of their effort in acquiring new customers and not enough in retaining and growing business from their current customers. Market to your customers as you would want them to market to you. Jack Welch, retired CEO of GE, put it this way: “The best way to hold your customers is to constantly figure out how to give them more for less.” And remember, customers are increasingly buying on value, not on relationship alone. Exceptional companies create delighted customers. They create fans. Take a lesson from Harley Davidson and the customer who said that he would rather give up smoking and other vices than be without a Harley. Instead of seeing a customer in every individual, we must see the individual in every customer. The first group consists of the Most Profitable Customers (MPCs), who deserve the most current attention. The second group are the Most Grow able Customers (MGCs), who deserve the most long-run attention. The third group are the Most Vulnerable Customers (MVCs), who require early intervention to prevent their defection. Not all customers, however, should be kept. There is a fourth category called Most Troubling Customers (MTCs). Either they are unprofitable or the profits are too low to cover their nuisance value. Some should be “fired.” But before firing them, give them a chance to reform. Raise their fees and/or reduce their service. If they stay, they are now profitable. If they leave, they will bleed your competitors. Most companies pay more attention to their market share than to their customers’ satisfaction. This is a mistake. Market share is a backward-looking metric; customer satisfaction is a forward-looking metric. If customer satisfaction starts slipping, then market share erosion will soon follow. Acquiring new customers can cost 5 to 10 times more than the costs involved in satisfying and retaining current customers. The average company loses between 10 and 30 percent of its customers each year. A 5 percent reduction in the customer defection rate can increase profits by 25 to 85 percent, depending on the industry. The customer profit rate tends to increase over the life of the retained customer. At the heart of CRM is database marketing. Your company needs to develop separate databases on customers, employees, products, services, suppliers, distributors, dealers, and retailers. The databases make it easier for marketers to develop relevant offerings for individual customers. 1.transaction history of each buyer. Knowing what a customer has purchased in the past affords many clues as to what he or she might be interested in buying next time. 2.demographic information about each buyer. For consumers, this means age, education, income, family size, and other attributes. For business buyers, this means job position, job responsibilities, job relationships, and contact addresses. 3.psychographic information describing the activities, interests, and opinions (AIO) of individual customers and how they think, make decisions, and influence others. Challenge 2 :Collect this information. You train your salespeople to gather and enter useful information into the customer’s file after each sales visit. Your telemarketers can gather additional information by phoning customers or credit rating agencies. Challenge 3 :maintain and update the information. About 20 percent of the information in your customer database can become obsolete each year. You need telemarketers to phone a sample of customers each working day to update the information. Challenge 4 :use the information. Companies need to hire a person skilled in data mining. By applying advanced statistical techniques, the data miner might detect interesting trends, segments, and opportunities. To solve privacy issue, practice permission marketing, as promoted by Seth Godin. You should ask your customers what information they will volunteer, what messages they would accept, and what contact media they would prefer. We will see many more in upcoming posts.